Under Occupational Health and Safety (OHS) Regulations, all employers have an obligation to ensure the workplace is safe. To make sure employees know how to stay safe on the job, employers must provide training to teach workers how to recognize potential hazards and how to safely use, handle, store, and dispose of hazardous substances. Employees must also be taught how to handle emergencies on the job. Whether you’re in the construction industry, retail, manufacturing, electrical trade, or oil and gas sector, safety training is mandatory. Safety training is instruction with site-specific information and occupation-specific procedures addressing worker safety. Training is an important part of understanding the hazards that may be present at a workplace, and preventing injuries on the job. For some employers, providing the required safety training for all their employees and supervisors can be a challenge. In the past, many companies provided safety training in-house. However, over the past decade we’ve seen a rise in the utilization of online safety training. Online training is a cost-effective, flexible, and convenient form of safety training and is available from a host of different training companies. But how does an employer decide which safety training program is best for its workers and for the company? 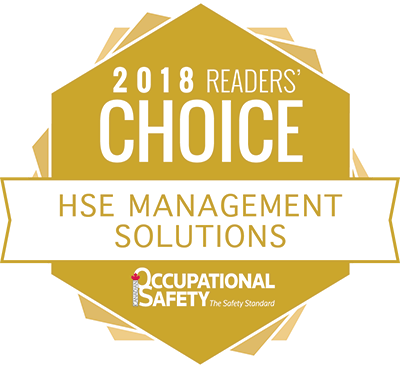 Wide selection of courses: Choose a company that has all the accredited courses needed to meet the OHS legislated requirements, as well as courses the company might require in the future to address potential growth. Selecting a company that offers a comprehensive library of online safety courses means employers don’t have to shop around for courses; they can enjoy one-stop shopping. Cost savings: One of the greatest advantages of online training is its cost-effectiveness. Ideally, the program you select should have options that maximize savings for your company. Look for online training companies that provide group discounts, corporate accounts, or discounts for specific industry members. Help and support: An online training program should offer users technical support as part of the training package. The last thing you want is for students to get stuck with a product they can’t use or courses they can’t complete because of technical problems. Training is competency-based: Competencies are the skills and knowledge required to complete a specific job. Many companies now use competency-based assessments to determine what training employees need to be successful in their work and to improve their effectiveness. An online training program that defines the competencies a specific program will address, helps supervisors and employees find the best training solutions. Content is interactive: No matter how good online training content is, if learners are not engaged it’s likely their attention will be lost. Learning activities that require the learner to interact with the material increases focus and retention. For example, drag and drop activities ask the learner to pick up an object with the mouse and move it to a new location in order to elicit a response, complete a task, or obtain a correct answer. Uses real world images: Some learners lose interest quickly in a program if they feel it doesn’t apply to them or their work. For example, cartoon-type graphics used in a training program can quickly leave an adult learning feeling uninterested or patronized. Effective online training should use real world pictures and simulations, including video clips, technical animation, and decision trees. Low mechanical repetition: Often online courses are developed as glorified PowerPoint decks, with little interaction between the student and the material. Essentially, the student just keeps clicking an advance arrow to take them to the next slide. This repetitiveness becomes automatic and the student grows bored with the material. Ideally, coursework should require a variety of tasks, with an activity every 5 – 10 minutes to keep students interested and excited to find out what’s coming next. Voiceovers are used: There are several different types of learning styles. Some people are readers and some are listeners. Courses that use a combination of visuals, reading, and audio voiceovers have proven to be the most effective way to deliver online content, and meet the needs of a broader range of students. Content is current: The Occupational Health and Safety landscape is not static; it is constantly changing. The best training programs are those that are responsive to changes in the regulations, as well as the best practices in a broad spectrum of industries. Uses a variety of testing: In the same way that repeated clicking tends to become monotonous and lower efficacy, using the same testing methods throughout the training program can also lead to disengagement. Courses should use a variety of testing including multiple choice, true or false, and fill-in-the-blank. To ensure that no two exams are ever the same, each learner should be presented with an exam comprised of questions randomly chosen from a central question pool. This is particularly important for learners who have to re-test in the same program. Everyone learns in different ways. Some people like to jump in and get their hands dirty, learning by doing. Others like to sit back and listen to someone more experienced explain how a thing is done. Finally, there are others who prefer to read up on a topic. There are three main learning styles: visual, auditory, and kinesthetic. Most people learn best through a combination of these three different styles, but typically favour one over the other. Visual Learners like to LOOK. They learn best by looking at pictures, videos, graphics, watching a demonstration, or reading up on a topic. Visual learners are able to memorize and recall written information better than other types of learners. For visual learners, it may be difficult to absorb new information from an instructor who is simply talking to them. Auditory learners like to LISTEN. They learn best by listening to things being explained, by reciting information out loud, and may concentrate better with soft music playing in the background. For auditory learners, it may be more difficult to process new information if all they’re doing is reading about it. Kinesthetic learners like to TOUCH. They learn best by actually doing an activity and having a “hands-on” experience. For kinesthetic learners, sitting still and reading may make it difficult to absorb new information. The future of online training has arrived. The most effective online training programs are those that use different types of learning activities to better engage with the three main learning styles. Effective training programs use visuals, layered with audio voiceovers, and supplemented by interactive activities, or blended with hands-on learning. The types of learning activities included in a course should depend upon the course audience, the material being taught, and the course length. Best practice teaches us it’s important to include a learning interaction every 5-10 minutes to reinforce the most relevant information covered. Drag and Drop – These type of activities require a learner to pick up an object and move it with the mouse to a new location to elicit a response. They are the most common type of game-based activity used to engage learners and reinforce training material. Matching Activities – Matching activities ask the learner to make connections between objects. They are great for reinforcing definitions and testing understanding of relationships. Though terms and phrases are common in matching activities, symbols and pictures can be used to add visual interest. Hot Spots – Hot spots are locations on pictures that a learner can hover over with the mouse, click on, or drop an object onto in order to reveal information or elicit a correct response. Hot spots can ask learners to identify objects or merely be used to offer a more engaging way to provide additional information. Sequencing – Sequencing activities test a learner’s ability to place terms, procedures, objects, or images into logical order. Sequencing activities are great for testing learners’ recall of step-by step procedures and for providing students with an opportunity to practice the procedures as well. Using online safety training to satisfy the occupational health and safety requirements for your company couldn’t be easier. Finding a training provider that meets your company’s needs might take a little research, but there are some excellent programs available with all the features necessary to build the best program for you. Look for training programs that go beyond the basics and offer excellent value, with a large selection of highly interactive courses that maximize learning for different learning styles. You can access courses from hundreds of different safety training companies from across the country, all in one convenient location.